Marshall M. Fredericks Sculpture Museum | Interior view of plaster molds for "Baboon Playing a Mandolin"
Interior view of plaster molds for "Baboon Playing a Mandolin"
Plaster molds for "Baboon Playing a Mandolin" in Marshall Fredericks' Bloomfield Hills (Greenhouse), Michigan studio. A bronze casting of this work is in the children's garden, Community House, Birmingham, Michigan. 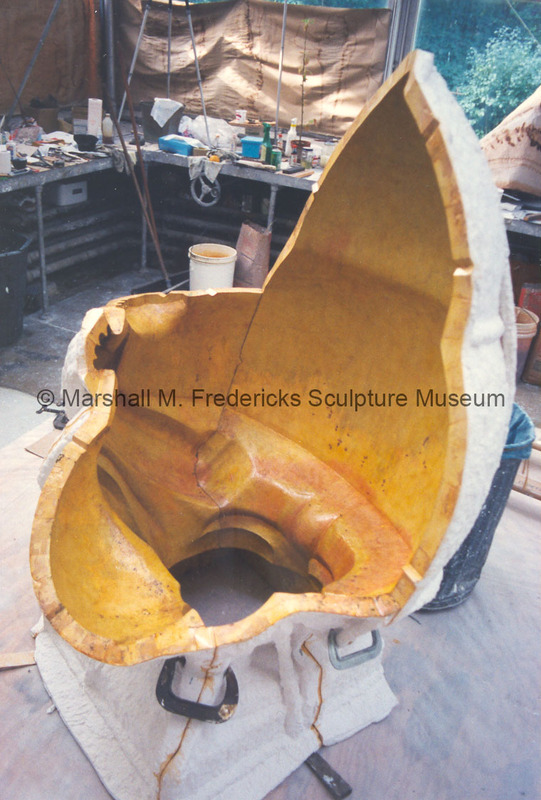 “Interior view of plaster molds for "Baboon Playing a Mandolin",” Marshall M. Fredericks Sculpture Museum, accessed April 25, 2019, http://omeka.svsu.edu/items/show/172.